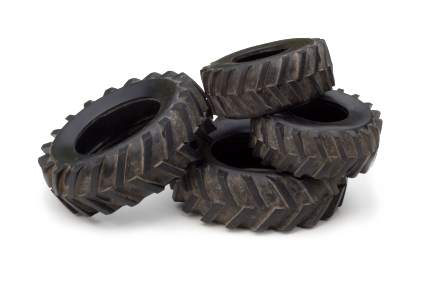 Waste tires present a major environmental problem across the globe today. It is estimated that 2 to 3 billion scrap tires have been stockpiled or dumped throughout the country, while more than 270 million additional used tires are generated each year. Eliminating these piles is essential to prevent health risks and degradation of the environment. Waste tires, particularly in piles, pose serious health risks to humans and the environment from fires and pooling water that breeds insects and diseases. On the average, it takes 22 gallons of crude oil, steel, natural rubber, a large amount of energy, and other resources to produce a single tire. However, that same tire when recycled through our pyrolysis system, produces more than one gallon of high grade fuel oil, approximately 6 pounds of carbon black, and 3 pounds of steel. These valuable resources will be recaptured and reused in products and processes, rather than left in wasteful and dangerous stockpiles.